As a member of the Governor’s Task Force for Improving Education, and as a retired public school teacher, Idaho District 26-B Rep. Donna Pence wants big reform in the state educational system. She’s seeking a sixth term as the southern representative for the district that represents Blaine, Camas, Lincoln and Gooding counties in the state House of Representatives. Pence is one of 13 democrats, and 22 women, in the 70-chair House. She became the Minority Caucus chair in 2013. Pence, 72, is a 65-year resident of Idaho. She’s a retired teacher and athletic coach, as well as a part-owner of agri-business Pence Farms. Pence has lived in Gooding since 1972. 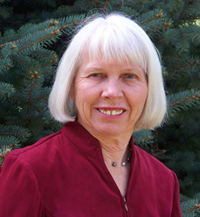 Her interest in Idaho’s education system spans beyond classroom involvement; she was president of the Idaho Education Association for two terms and has served on the council in multiple capacities. She has also held presidential and committee member roles within the Delta Kappa Gamma Teachers Society. Propositions 1, 2 and 3, the components of Idaho Schools Superintendent Tom Luna’s Students Come First legislation that passed in 2011, undercut teachers, Pence said. Idaho residents overwhelmingly voted against the three laws, which include annual evaluations for Department of Education employees, the phasing out of tenure track, a streamlined ability to fire teachers, financial incentives for employees of schools with improved standardized test scores, laptops for every Idaho teacher and student, and a focus on online classes. Included in the 2011 legislation was a change in the grievance process for Department of Education employees. Teachers being denied a hearing, should they be let go, cuts down rights, Pence said. As a member of the education task force this year, Pence was part of ongoing discussions surrounding teacher pay. Pence is a member of the Career Ladder/Tiered Licensure Committee, a group of legislators investigating an incentivized system for teachers that allows them to move up in pay scales based on teaching experience and performance reviews. There are three proposed categories that pay $40,000, $50,000 and $60,000. Brand-new Idaho public school teachers currently make as low as $31,750 annually, so the $40,000 minimum would be a significant difference, particularly for the newcomers. “[The current base salary] doesn’t help those younger teachers,” Pence said, citing the need for more competitive salaries to keep good teachers in the state. Attracting and keeping good teachers and diversifying the Idaho economy, Pence said, aren’t mutually exclusive. Citing a “vicious cycle” of talent getting trained stateside and then looking elsewhere for work, Pence said increased educational funding will yield economic results. That extends to higher education as well, she said. There are economic incentives in increased management of federal lands in Idaho, Pence said. She’s in favor of a private/public partnership to oversee the federal land acreage in Idaho—some 34.5 million acres. She said the Clearwater Basin Collaborative in Northern Idaho shows how national and statewide interests can unite under a common purpose and become economically viable. The group, created by Sen. Mike Crapo, is a merger of tribal councils, loggers, politicians and wildlife managers formed to resolve land disputes. They’ve orchestrated forest revitalization projects, along with timber harvesting operations. “Lots of forest areas in Idaho could be, with the right management, logged,” Pence said, adding that Idaho cut too much timber in the 1960s and now doesn’t cut enough. Pence is also an advocate for management of the Idaho wolf population. Gov. Butch Otter approved a $400,000 budget for the Wolf Depredation Board this year to curtail the state’s gray wolf population. “They need to be managed, but it’s necessary to make sure they don’t go back on the endangered species list,” she said. Pence is a supporter of road and bridge repairs statewide. Citing the quarter of a billion dollars needed to keep infrastructure “safe and usable,” she said it’s something the Legislature needs to deal with immediately. “Our roads and bridges have been a problem that has been kicked down the road ever since I joined the Legislature 10 years ago,” she said. Idaho water aquifer levels are another concern for the legislator. Pence supported House Bill 479, which allocated $15 million to study water rights in specific locales and install water supply measurement technology. “We have been taking out more water than is getting put in and these measures are a beginning in the quest to reaching a sustainable aquifer that will be meeting our needs into far into the future,” she said. The election is Tuesday, Nov. 4.